Leslie Broun spent much of her career working for the Peel District School Board in Ontario as an itinerant resource teacher. In this role, she supported teachers and teaching assistants of exceptional children who are mainstreamed in regular classroom settings. Previous to this, she taught a congregated class of children with autism spectrum disorders for seven years and developmentally disabled adults for three years. Broun's credentials include a BA, BEd and MEd and a specialist certificate in special education. She has taught additional qualification courses in special education at York University and in developmental disabilities at the University of Western Ontario. 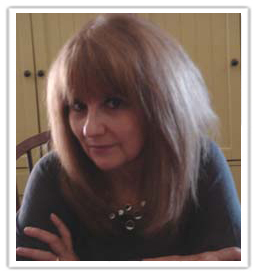 Her ongoing professional focus is the development of practical and effective visual learning strategies and materials for teaching literacy and mathematics to children who have ASDs and other developmental disabilities. Her belief is that, along with an emphasis on the development of communication, social and behavioral skills, the development of academic skills is crucially important for the children with autism spectrum disorders. 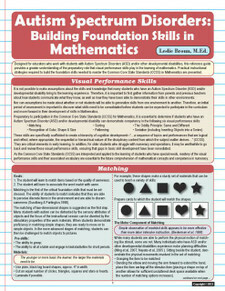 She saw her role as the creation, compilation, and organization of materials and methods that are practical and cost-effective; materials and methods that aid in curriculum modification and follow a developmental sequence that appeals to the visual learning style of children with autism spectrum disorders. 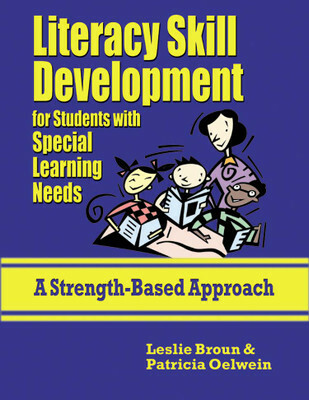 Leslie is co-author of the book, Literacy Skill Development for Students with Special Needs, and author of the laminated reference guide, Autism Spectrum Disorders: Building Foundation Skills in Mathematics, both published by National Professional Resources, Inc./Dude Publishing.